Today's most troubling trends about faith and culture in America. 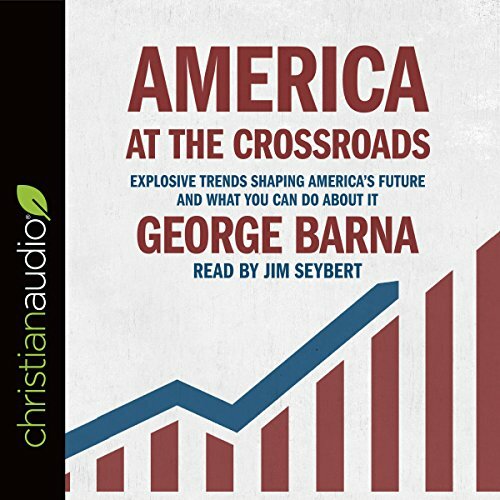 With America at the Crossroads, best-selling author and cultural analyst George Barna turns his researcher's eye on the most significant trends of our moment in history, compiling and distilling the most salient information for busy listeners who want to shape culture rather than allow it to shape them. Anyone who has felt overwhelmed by our swiftly changing times will appreciate Barna's extensive research and his "bottom line" approach. This tell of a nation and its people is worth listening to as both, the people and the nation depend on it. I fully recommend the reading, rereading and soulful application of the content of this book.